24" rail with clamp, bearings and screws. Use your Logan Handheld Mat Cutter models 2000 Push Style, 4000 Deluxe Pull Style, Straight Cutter, Glass Cutter, or Mat Knife with an Adapt-A-Rule cutting guide and enjoy straighter, faster, more accurate cuts. 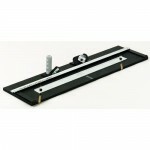 The 24″ (61cm) a..
40" rail with clamp, bearings, and screws. Use your Logan Handheld Mat Cutter models 2000 Push Style, 4000 Deluxe Pull Style, Straight Cutter, Glass Cutter, or Mat Knife with an Adapt-A-Rule cutting guide and enjoy straighter, faster, more accurate cuts. The 24″ (61cm) ..
60" rail with clamp, bearings and screws.Use your Logan Handheld Mat Cutter models 2000 Push Style, 4000 Deluxe Pull Style, Straight Cutter, Glass Cutter, or Mat Knife with an Adapt-A-Rule cutting guide and enjoy straighter, faster, more accurate cuts. 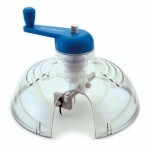 The 24″ (61cm) and 40″..
FREE STYLE - Cut free form shapes with this innovative push-style cutter. 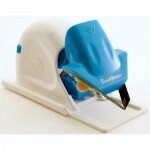 Easy to use, just insert the blade into the board and push to follow the desired shape. Features ergonomic handle, on-board blade storage compartment, blade safety shield and two blades. The Freestyle Cutter works with..
CIRCLE CUTTER - To cut Foamcore Board Precisely. 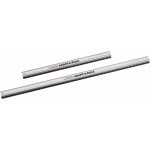 Cut perfect circles from 1″ to 6″ (2.5cm to 15.25cm) diameters. Center depth indicator shows blade progression for board depths from 1/8″ to 1/2″ (3.1mm to 12.7mm). Features dual inch/metric rail, centering pin, magnetic blade slot and clear a..
Cut foam board V-grooves to perfection using the FoamWerks V-Groove Cutter. Features include adjustable blade depth, quick change blade clips, magnetic blade slot, on-board blade storage drawer and five blades. 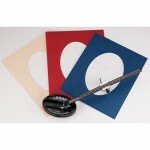 Will V-groove in up to 1/2″(5mm) thick foam board. Use with FoamWerks Channel Rail, .. REBATE CUTTER - Create perfect adjoining foam board joints with FoamWerks Rabbet Cutter. The innovative ergonomic construction and dual blade action create one-stroke finished results. WC-4010 also features on-board blade storage and includes two blades. Use as either a right-handed push sty..
BEVEL/STRAIGHT CUTTER Economy and versatility combine in the FoamWerks Straight/Bevel Cutter. 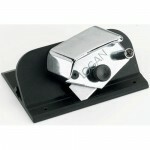 Simply rotate the angled base block and Model WC-6010 transforms from a straight cutter to a bevel cutter. Features include adjustable blade depth, ergonomic handle and on-board blade storage. 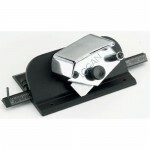 The S..
SERIES 2000 - A quality hand-held mat cutter with the select features that make precision mat cutting a breeze. For the artist, student of hobbyist who looks for top quality results with less effort. A retractable blade ensures that the blade enters and leaves the mat board at the correct angle elim..
SERIES 4000 - The most advanced hand-held mat cutter for the serious student, artist, free-lancer, photographer or small gallery. The built-in marker system quickly marks the mat for borders from 1/4" to 5.5". The finger tip operated blade holder pivots smoothly assuring accurate entry and retractio.. The best way to cut a great mat is with a sharp blade. 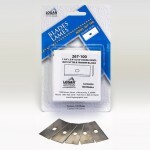 Logan replacement blades are the only blades specifically sharpened to give a professional finished edge to a mat. Always use Logan replacement blades in your cutter for outstanding results. ..
Model #301- Cutting board with bevel-cutting head. Model #301-S - Cutting board with bevel and straight cutting heads. A remarkable 32" Mat Cutting System that can bevel cut any size mat board. ideal for at home framing projects or the small art studio. 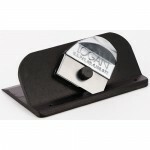 A natural for the artists or photographers who..
SERIES 201 LOGAN 3-Step Oval & Circle Mat Cutter. 3-step mechanism is fast, portable, very easy to use, and costs hundreds less than comparable oval cutters. Cuts perfect bevel openings without connecting to any other equipment. Cut single, double, or even triple mats. Adjusts from ova..